The replacement of half a finger with a USB!! 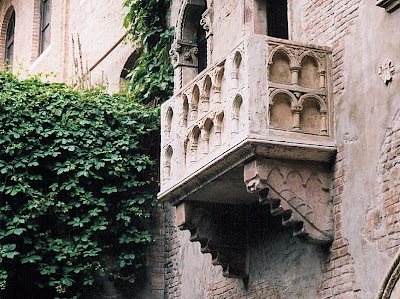 Recently came across this piece of news which reported couples can now have themselves married on the balcony of Verona where Juliet called for her lover, Romeo. The move, could make the part of Italy a world famous wedding capital and tourist/weddings packages will be offered just like in La's Vegas. "Its a way of using the city's heritage to boost tourism" claims the councilor for tourism. 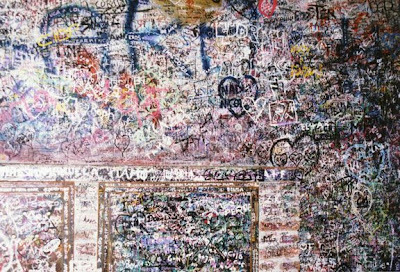 Those that wish getting hitched in the very same courtyard where once, Romeo wooed his lover Juliet, will have a price to pay. The privilege wont come cheap, but that's where those in hopes of getting lucky in love will flock to.. Price for Britons and other EU nations is will be charged 800 euros, and couples from out side the Eu will be charged a 1,000 euros! locals can pay as cheap as 6000 euros, still 100 euros less of ordinary marriages certificates in Italy. This balcony is known as standing tall right from the 14th century which was Juliet's home, or possibly used as one of the capulates in Shakespeare's play and had to be closed a year ago to be cleaned of gum and graffiti left by the tourists on its walls. "Sposami a Verona" Marry Me in Verona- that's what the whole plan to be hit off very soon is called. Accordingly to Shakespeare, the building belonged to the Cappellos- the Capulet's in play, who were believably juliet's family. However, historians claim authenticity to support the theory. Hey sistah! Wish I had known this when i got married years ago, hahhaha.